UPDATE | Boil notice for Rome Avenue has been rescinded. North Rome Avenue remains closed from West Hillsborough Avenue to West Burke Street. 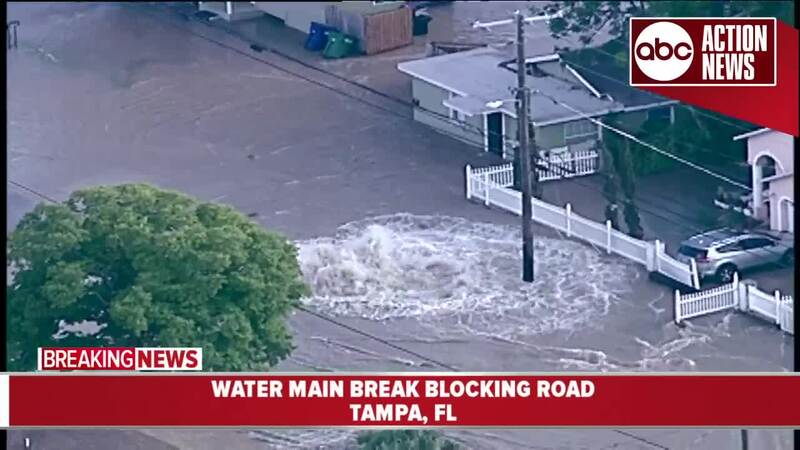 TAMPA, Fla. — A large water main break has closed part of N. Rome Avenue in Tampa. 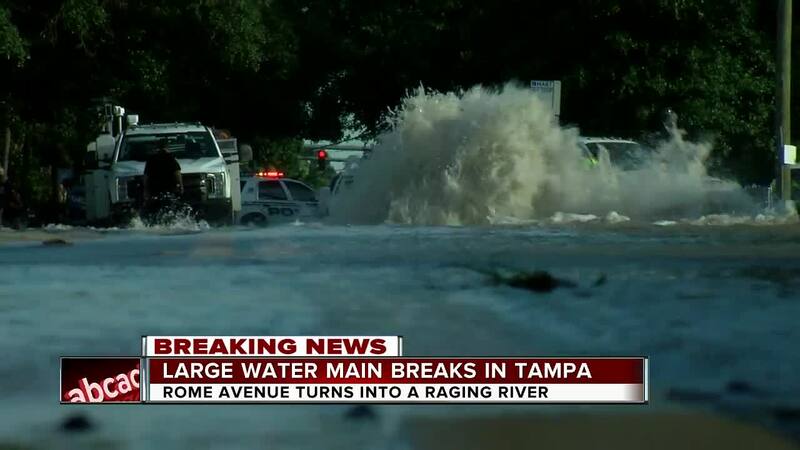 Tampa Police responded to the water main break around 6 p.m. on Thursday. A portion of N. Rome between West Hillsborough Avenue to West Burke Street while the Tampa Water Department repairs a water transmission main break at North Rome Avenue and West Powhattan Avenue. 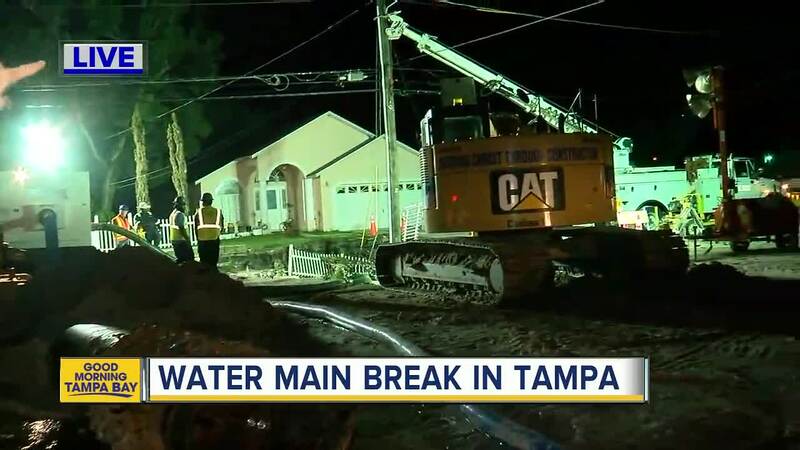 At 8 p.m., Tampa Police say that the broken water main on Rome Avenue has been turned off. However, due to damage to the road, the closed portion of N. Rome will remain closed for several days. “It was quite scary seeing this, it looked like some sort of tidal wave coming towards us, very scary," said Nataly Rovira. Rovira showed ABC Action News the extensive damage done to her family's lumber business, North Rome Lumber. She fears the flooding will take a financial hit on the business. Across the street, Rey Pow used a few bags of mulch to deter some of the water, but it wasn't enough. He rushed outside with his 4-year-old son when the water came rushing inside. 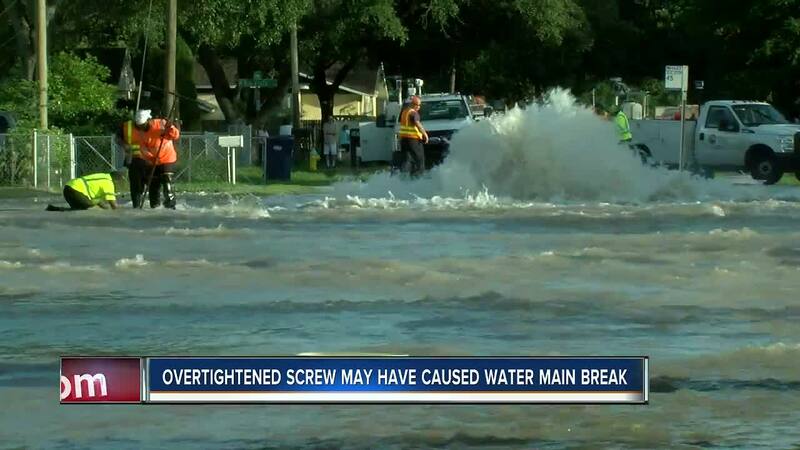 An official with the Tampa Water Department says crews are trying to determine what caused the 24-inch pipe to break. They believe a contributing factor may have been a megalug that was tightened too much in 1954, which cracked under pressure over time. Elias Franco tells ABC Action News, restoring the piping underground will take several days. 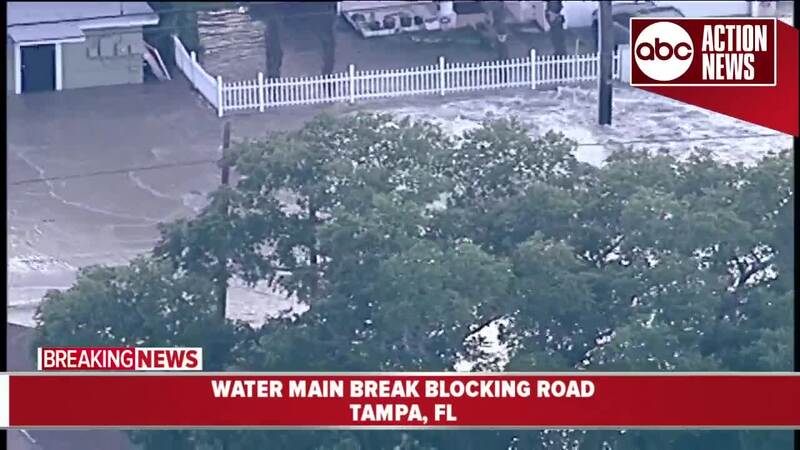 Eight homes have water in them from the break, and the City of Tampa is paying for it with funds risk management has reserved for situations like this. The city will also pick up furniture for free, according to Brad Baird of public works. 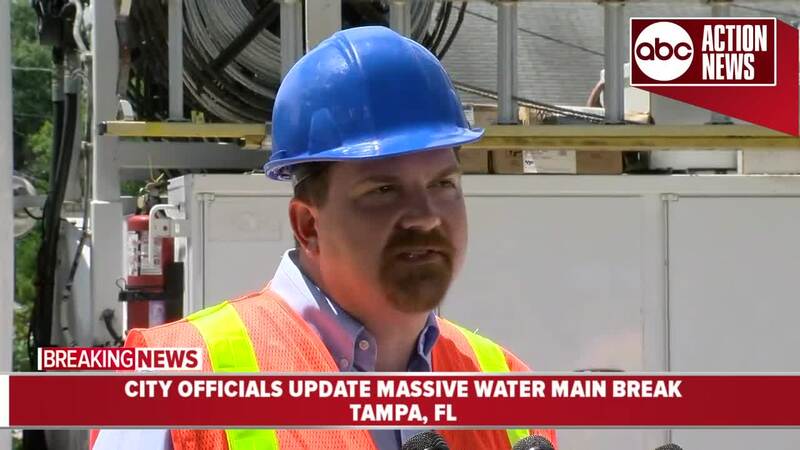 For now, the Tampa Water Department is advising residents and businesses within the area of 275 to the west, Dale Mabry to the east, Dr. Martin Luther King Jr. Boulevard to the north and Busch to the south to boil water for drinking and food preparation. This Precautionary Boil Water Notice will remain in place for two days.